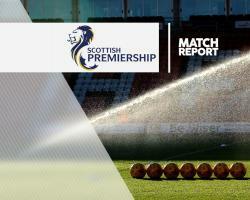 Inverness' bid to avoid automatic relegation from the Ladbrokes Premiership will go to the last day following their 2-0 win over Dundee at Dens Park. Two goals in the first 10 minutes from forwards Billy McKay and Alex Fisher saw off an uninspiring home side and took Richie Foran's men to within one point of Hamilton in the relegation play-off spot. The Highlanders, whose goal difference is five worse than Accies, host Motherwell on Saturday with Hamilton at home to Dundee in what will be a nerve-shredding afternoon but Inverness at least have given themselves some hope. It was a first defeat in four games for Dundee's interim manager Neil McCann, albeit the Taysiders' top-flight status had been confirmed on Tuesday night with Hamilton losing to Ross County. McKay had charged down a clearance from Dundee keeper Scott Bain and watched it go wide in the first minute. The striker had much more control of his second effort when taking a pass from Liam Polworth and he drilled a left-footed strike from 14 yards past Bain and into the net. As Dundee tried to get into their stride they were punished again in the 10th minute when midfielder Iain Vigurs chipped the ball up to Fisher who, from 16 yards, headed it up in the air before acrobatically volleying past the Dens Park number one. Twice skipper Darren O'Dea headed corners from Kevin Holt over the bar from six yards before defender Cameron Kerr drove wide from 14 yards after bursting into the opposition penalty area. However, bottom side Inverness continued to pose a threat when they moved forward and, in the 32nd minute, Fisher headed a Greg Tansey cross wide of the target from 10 yards. Four minutes before the break Dundee breached the Caley Thistle defence again but keeper Ryan Esson thwarted striker Marcus Haber from close range before right-back Brad McKay completed the clearance. Daniel Higgins, 19, replaced experienced Dundee stopper Kevin Gomis for the start of the second half as Inverness held firm, with Esson clutching Mark O'Hara's header just after the hour mark following a cross from Faissal El Bakhtaoui. In the 77th minute Bain was in the perfect position to gather a Brad McKay header from a Tansey corner but by that time Inverness' threat had all but dissipated. Their focus in the final stages, under increasing pressure from the Taysiders, was on keeping the clean sheet which they did and which gives them a fighting chance.